Profound personal transformation is initiated by the realization that you are capable of direct access to the Divine. This is the realization that the wisdom of the Divine can be discovered deep within you. There is a wide range of means that can facilitate self-mastery through personal transformation. Though the means may vary, the intent behind the means is quite narrowly defined as the intent to expand into a state of integration whereby all aspects of your conscious self become increasingly aligned with your divine essence. There are three particular life principles that help to align your perspective with the perspective of divine essence and thus inspire profound personal transformation. They are: 1) seeing the Divine in all; 2) nurturance of life; and 3) gratitude. When you apply these principles, a deeper meaning will be revealed to the seemingly random events of your life experience. In light of the obvious turmoil and destruction that are apparent on Earth, this is an outlook or perception that may seem naive. How can life in all its forms and expressions be perceived as optimal or perfect? This is the great paradox of life, and it cannot be reconciled with your mental or emotional capabilities. It can only be understood in the context of the soul, which is deathless, timeless, and limitless. Calling forth the divine perceptions of the soul is actualized through looking for both the inward and outward manifestations of the Divine. It is not only that the Divine is found within you and within every individual manifestation of life; it is also in itself the wholeness of all life. Thus, this principle of transformation calls for seeing the Divine in all its diverse forms of manifestation, as well as in the wholeness of life itself. One of the best methods to transform energy is through one's belief system. 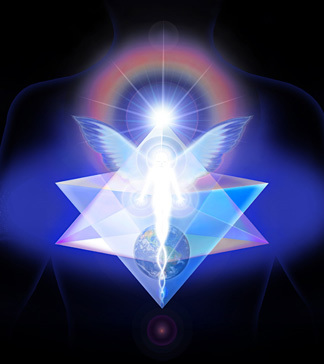 All beliefs have energy systems that act like birthing chambers for the manifestation of your perceived reality. Within these energy systems are currents that direct life experience. Your soul is aware of these currents either consciously or unconsciously and allows them to carry you into realms of experience that engage your core belief system. By consciously cultivating beliefs that expand and transform energy, you are more able to explore energy systems that are nurturing to life in all its myriad forms. When beliefs are clearly defined as intentions, your life energy engages fully in the present moment. Clarity of intention is essential to engaging the energy system of your core beliefs, and to allowing the nurturance of life to prevail in all activities. These life principles are merely symbols represented in words and served to you as a potential recipe to stir awake the embers of light that tirelessly burn within. There are no specific techniques or rituals that are required to invoke their power. They are simply perspectives. In a real sense, they are intentions that attract experience that expands consciousness. They do not provide quick fixes or instant realizations. They are amplifiers of personal will and intention that clarify how one lives. Their profound transformative power is contained exclusively in the intent of their application. Through these principles of transformation, you can become a master of empowering your deeper self. When you apply these principles with clear intent, you have the tools to accelerate the emergence of divine essence. You can awaken the perspective, insights, and empowered abilities of your divine essence to create new realms of possibility and shape them as learning adventures that expand and transform your consciousness. This is the underlying purpose of these principles, and perhaps the best reason to explore them.